We first saw the addition of such teams as a European All-Stars and a U23 North American team, but this isn’t the end of the new ventures the NHL has planned. Last week, the league announced it would include advertisements on the players’ jerseys for the tournament. This would serve as a pilot project to possibly move along with the same concept in the NHL. The subject has been on people’s minds for a long time now. With the whole branding component sports teams include in their overall package, when will the players’ jerseys include product placement? It was only a matter of time before someone decided to go ahead with the idea. The problem is that with a sport as traditional as hockey, changing things is always unbelievably difficult. Just like with baseball, the owners, players and fans want the overall product to stay much like it’s always been. And for this, sowing onto a jersey a logo other than that of the team is a kind of sacrilege. I understand that. Quite frankly, I think a hockey jersey is probably the worst piece of clothing to include ads on. Unlike most sports worldwide where it’s typical to see the team’s crest proudly over the heart on the upper left side, hockey sews its logo right smack in the middle. That doesn’t leave much space for product placement, right? 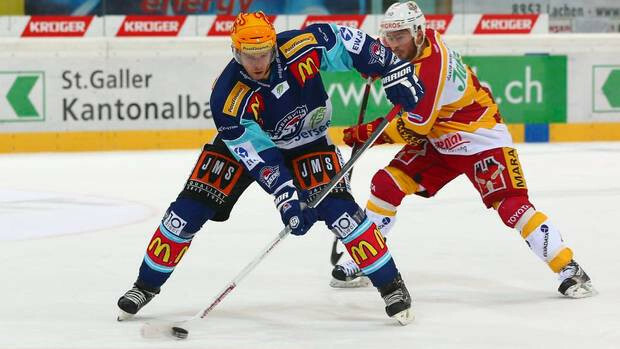 For those who are thinking of European hockey right now, I truly don’t think the NHL, which prides itself on tradition, would let the Montreal Canadiens, Detroit Red Wings or any other team turn into billboards-on-skates like HC Davos. By doing this, they would be admitting defeat on the building blocks they already own. In soccer or rugby, teams have smaller logos placed over their hearts and that leaves space for advertisements on the middle part of the shirt. It looks much more appealing to the eye, to the teams and to the advertisers (who end up having a bigger logo anyway). This format is a win-win for both teams and advertisers. Teams get money from the advertisers and whenever the shirt ads change, fans might want to update their shirts and buy a new one. Advertisers, on the other hand, see fans walking around the streets with their brand name on the chest and gain visibility from that. If the hockey world is going to include product placement on their shirts, then teams should think about placing their respective logos in the same area soccer and rugby teams place theirs. They would then have room for a legitimate shirt sponsor. That being said, a league like the NHL shouldn’t even consider such a thing. Breaking a tradition like a jersey design for a league which (unlike soccer or rugby) doesn’t change shirt designs every season or so would have a negative effect. Could you imagine such iconic jersey designs like those of the Canadiens, Red Wings, Blackhawks or Bruins changing completely to make room for a shirt’s sponsor? Some sports found a way to work it out, but other sports like hockey and baseball have guidelines that, if broken, would enrage fans across the continent. Have fun with the experiments on the goofy new World Cup of Hockey, but when it comes to NHL hockey, stick to the roots and traditions.